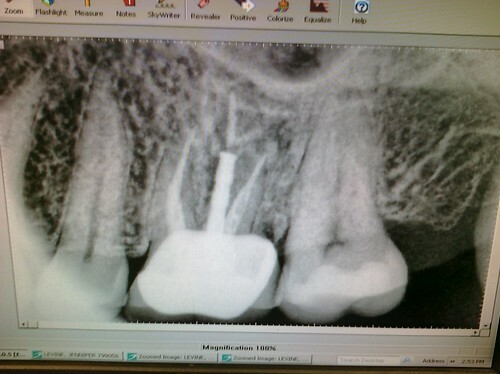 What Causes a Boise Root Canal? Trauma. When a patient experiences trauma to the face, it can crack or chip a tooth. If this crack or chip is not addressed, bacteria and infected material can find their way into the heart of the tooth, causing a root canal. Tooth Decay. Wondering why cavity prevention is so important? Left untreated, the decay can reach all the way down to the tooth’s nerve, cause an infection and abscess, and lead to a root canal. A cavity treated early on almost never leads to a Boise root canal because the decay is removed and sealed, preventing the decay from spreading. An untreated cavity however, is another matter. Sudden sensitivity to hot or cold foods. What’s the Best Thing You Can Do to Prevent a Boise Root Canal? Keep preventative, check-up appointments. One of the biggest myths about dental care is that you will always feel if something is wrong. Unfortunately, you may not feel any pain but still have a cavity or root canal. So keep your six-month dental check-up so that our Boise dentists can discover and take care of any cavities or other issues before they become bigger, more expensive, and more painful issues. Almost every dental insurance company covers preventative dental care like an annual or semi-annual dental cleaning and check-up, so you have nothing to lose! Schedule an appointment with our Boise dentists if you experience pain. Many people have a tooth ache that then goes away after a few days or weeks. They assume the problem is resolved, and never go to the dentist. That’s a big problem! The problem could be a cavity, cracked tooth, or compromised filling or dental crown that is causing decay and infection and could lead to a Boise root canal. Make your appointment anyway to catch the problem earlier and avoid later complications. The pain will probably come back and be more severe if you don’t resolve the issue now. By taking care of your teeth daily and addressing problems and pain as soon as they come up, you can often avoid a Boise root canal. Have more questions about preventative dentistry and when you can schedule a cleaning? Stop by or call our Boise dental office!